The Maxime Pinard Napoleon Cognac has been created from a blend of well-aged Cognacs grown close to the Atlantic Ocean. 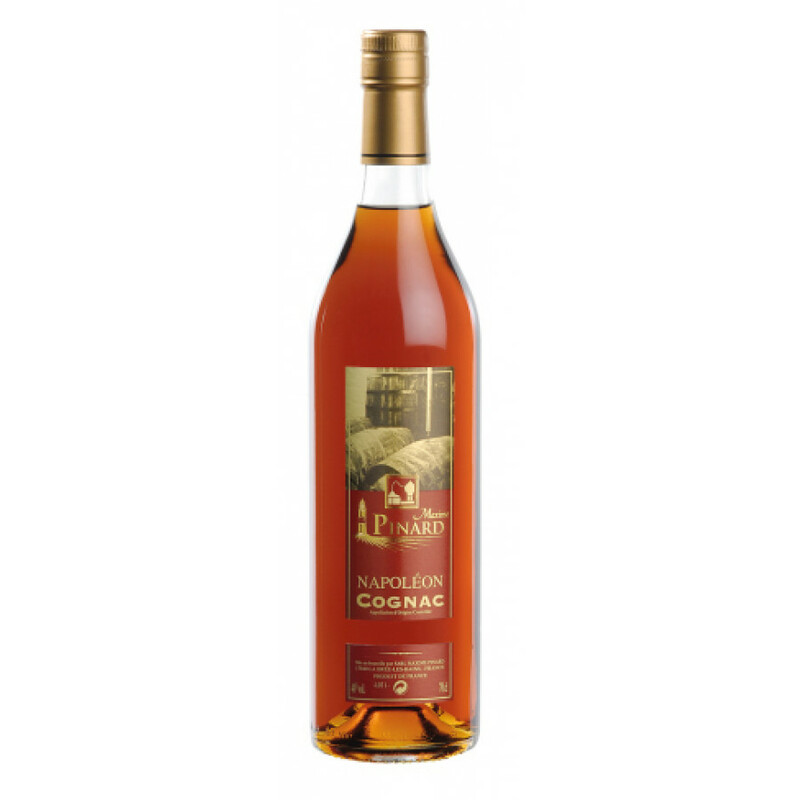 This extended period of aging has led to a Cognac that is an excellent example of quite how good a Napoleon quality can be, and is certainly a wonderful addition to any Cognac or fine liquor collection. The house of Maxime Pinard is the epitome of a craft brand. Created in 1889, the know how and passion of wine making has been handed down over the generations. Each family member has added their own unique flair, and of course, it means that today the family have a wonderful selection of very old Cognacs with which to create their masterpieces. As with most of their small range, this is presented in a simplistic, traditional style bottle. The family know that it’s the liquid within that does the talking, and there’s no need to dress it up in a fancy, over the top bottle. This is a great Cognac to enjoy in the traditional manner; neat, as a digestif. Or, for the adventurous, why not enjoy on the rocks, or even place the bottle in the freezer and sip it icy cold. This is an all-round great Cognac, with unique underlying hints of the ocean that come only from grapes grown so close to the Atlantic. And excellent Cognac to own, or one that will be well received by any Cognac connoisseur.